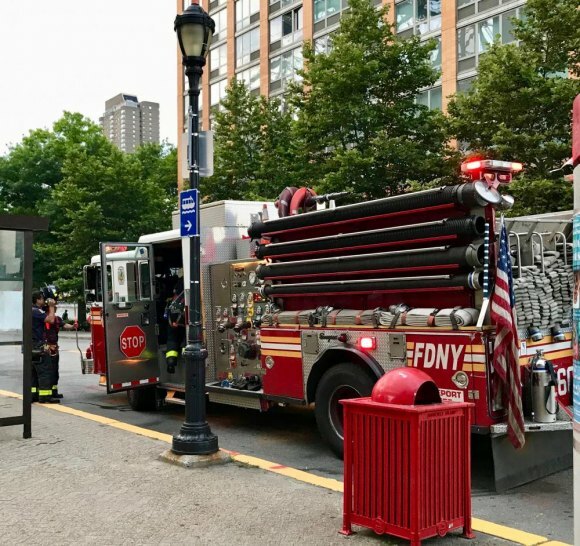 No Injuries Reported After "Smoke Condition"
FDNY arrived at the Roosevelt Island Tram Plaza at 7:52 P.M. 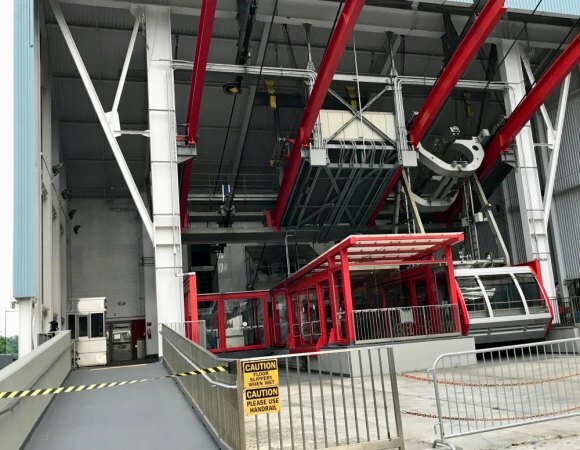 The first report came in at 6:52 when a reader, Sylvan Klein, reported three fire trucks arriving at the Roosevelt Island Tram Plaza. By late evening, most of the mystery was cleared up, RIOC responded appropriately and shuttle buses were set up to help cover the loss of service. At 5:15 a.m., RIOC reports that the Tram will be back in full operation, as usual, at 6:00 a.m.
25 minutes after the first resident reported trouble at the Tram Plaza, RIOC issued a brief bulletin: Due to FDNY activity at the Roosevelt Island Tram station, all Tram service is temporarily suspended. All buses will by pass the tram station and continue service going around the Cornell Site until further notice. "What's going on?" folks asked. "I hope there aren't any injuries." Nearly two hours after fire trucks arrived, RIOC cleared up some of the mystery: Fire inspectors are attempting to determine if the smoke detected from building equipment or operational equipment at the station. But a half-hour earlier, Sylvan Klein had already talked with PSD Chief Jack McManus. "Just smokey conditions, no fire," Klein reported. And the Roosevelt Islander was gathering information on the scene. "Smoke was detected in the basement, but not sure of the cause. Service temporarily suspended pending investigation." By 9:45, with a partial subway shut down about to complicate matters, RIOC acted to relieve the pressure: To accommodate this disruption, RIOC will be running a shuttle bus between the Roosevelt Island Tramway and the Tram Station at 60th St and 2nd Ave in Manhattan. The last shuttle bus left Second Avenue at 2:30 a.m. The Tram returns to normal service at 6:00 a.m. today.